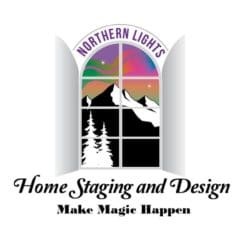 Northern Lights Home Staging and Design provides an award winning, versatile, and unique one-stop shop for Home Staging, Color Consulting, Interior Design, Edesign and Social Media Advertising for homes and vacation rental properties. We provide in person service in South Central Alaska, and online consultations and Edesign services nationwide. Mary Ann Benoit is the leading home stager in south-central Alaska and is the only home stager in south-central Alaska trained as a professional home stager and with a degree in Interior Design. She is also the only certified color strategist in Alaska, and is a Certified Color Expert. Customers and colleagues describe her as “the best at what she does” and her work as “stellar,” “fantastic,” ”amazing,” “innovative,” “prompt and professional.” She is known for giving “above and beyond service,” being a “delight to work with,” and “a great coach and mentor.” “Hiring Mary Ann is more than worth every dollar and led us to success, and a new future.” Learn more. 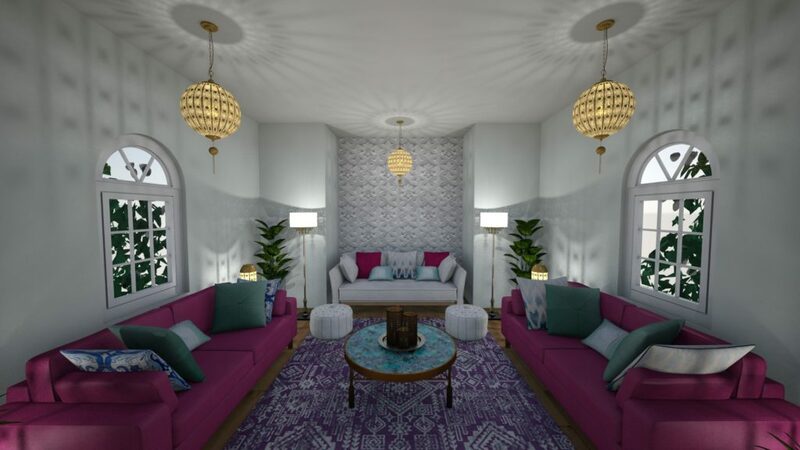 Home owners, home sellers and vacation rental owners hire me to reveal and to feel the magic and hidden beauty of their homes so there is no place they, their buyers or guests would rather be. Most feel lost on how to pull it all together and dis-heartened facing obstacles like money, space, picking colors or their partners lack of enthusiasm or taste. 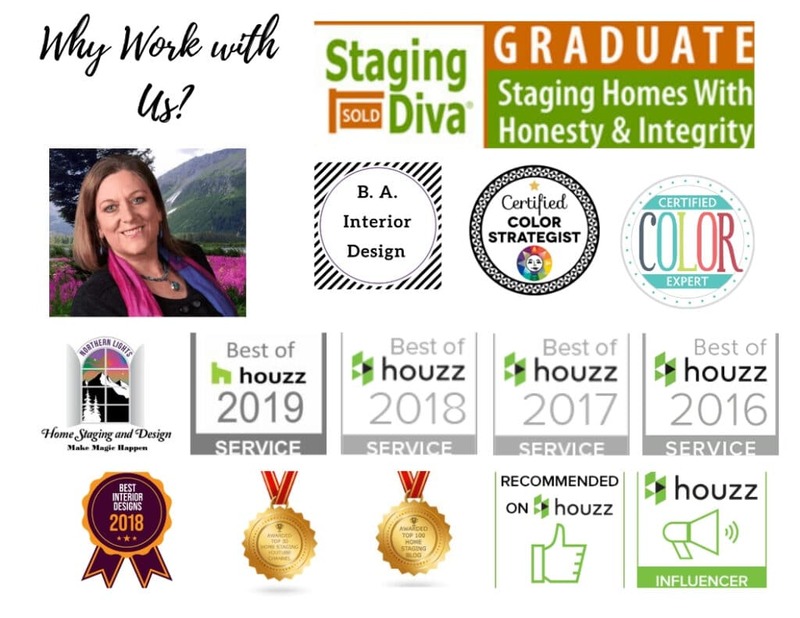 So, I make magic happen with affordable design plans, expert scientific color advice, award-winning design and customer service and home staging proven to sell fast, for more, and attract ideal guests and increase rental income. Bottom line, you, your ideal customers or buyers will love your space like no other, and it will bring you joy or lots of money! We help you sell your house fast and for more! We increase your bookings and income and attract your ideal customer by home staging your vacation rental property. We successfully market your home sale or vacation rental on social media with custom Facebook pages and video. 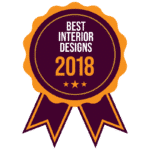 We provide down to earth, simple and affordable Interior Design to help you to tell your own unique story, in a way that works with your lifestyle and creates a sanctuary that you love. We transform your life by transforming your space. We update and upgrade your space, saving you time, money and stress while helping you avoid expensive mistakes. E-Design services will be available soon! Fast, affordable and collaborative design online nationwide. 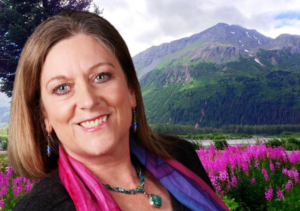 Mary Ann is the only certified color strategist in Alaska as well as a a certified color expert. Unlike the majority of color consultants, we use color measurements and the art and science of color to help you pick the perfect paint colors, finishes such as flooring and counter tops, fabrics, furniture and accessories for your home staging or Interior Design project. Take the guesswork out of it and get your colors right the first time! Sell your house fast, for more money and with less stress! 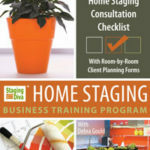 Increase your bookings and income with home staging and design. Custom Facebook pages and videos that capture the “essence” of your home for social media advertising. Transform your home, whether you are selling or staying with color. Here is an example of a recent home staging project. The owners sold their house the first day on the market for full asking price! Anchorage, Eagle River, Girdwood and the Kenai Peninsula including Seward, Alaska, Moose Pass, Alaska, Cooper Landing, Alaska, Hope, Alaska, Kenai, and Soldotna, Alaska. Virtual home staging and design consultations and social media advertising available nationwide.